Happy Monday! It is time for a sale! I love a sale as much as the next person, and now seems like a good time. I always feel more motivated to sew during the fall and winter months, so let's get a jump start on that! 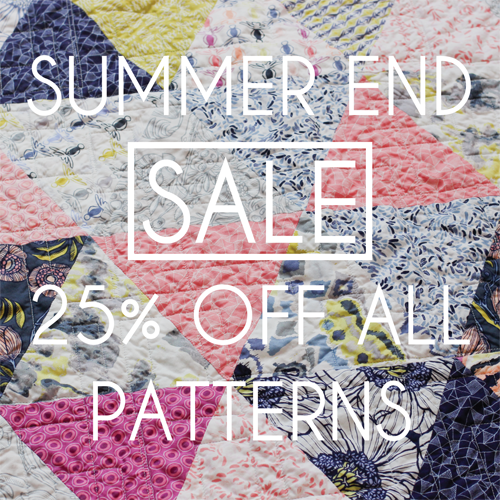 This week only, all patterns (PDF and Paper) are 25% off in my shop! Sale ends Friday 8/15. Prices are already marked down. I also have two new products to share with you! These have been in the works since March, when I took a screen printing class at Home Ec Workshop in Iowa City with Deedee and Anna! 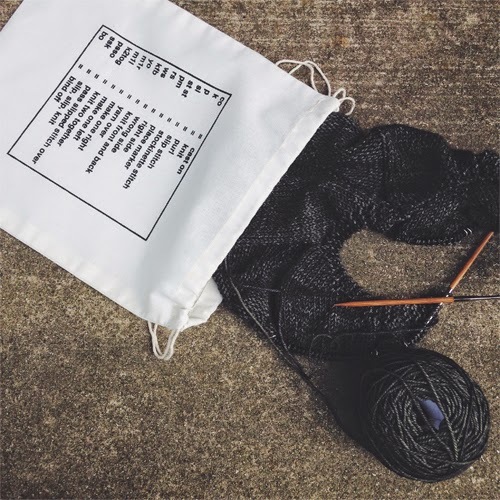 I cooked up the idea of a knitting abbreviations chart and soon after designed a sewing one. They have now become project bags! 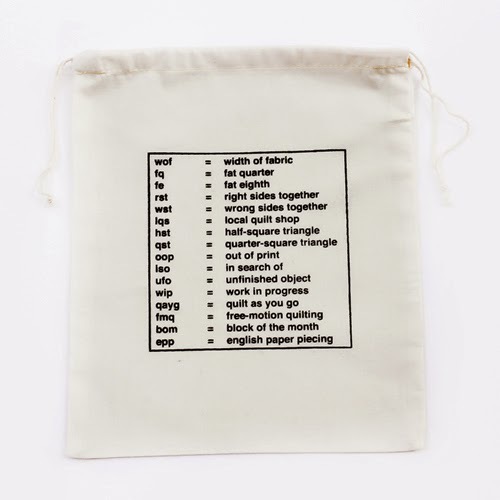 The knitting abbreviations project bag features common knitting shorthand. 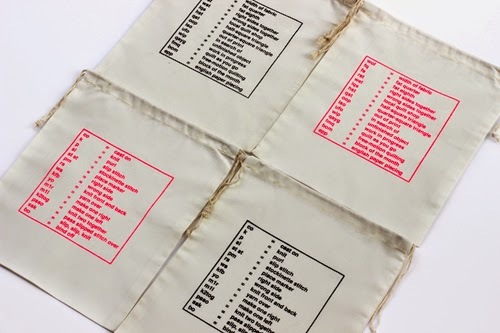 They are hand screen-printed cotton drawstring bags. It is the perfect accessory to hold your current knitting project! 100% cotton muslin drawstring bag (commercially made). Bag measures 10" wide x 12" tall. Screen printed by me! Available in black and neon pink. Pink is a true neon in person. 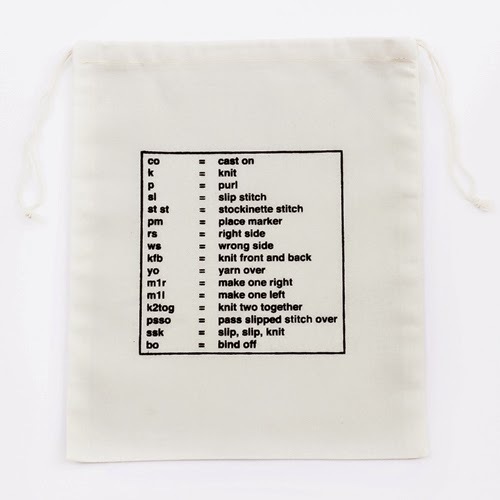 The sewing abbreviations project bag features common sewing shorthand. They are hand screen-printed cotton drawstring bags. 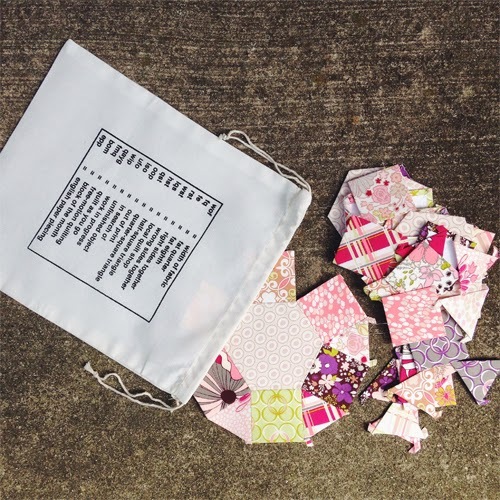 It is the perfect accessory to hold your current hand sewing project! 100% cotton muslin drawstring bag (commercially made). Bag measures 10" wide x 12" tall. Screen printed by me! Availabl in black and neon pink. Pink is a true neon in person. I am happy to have these out in the world! It is a totally different craft for me, and a fun change of pace from my regular work. The bags are available in my shop here.